Senator Santiago perplexes me. Her outspoken way is so refreshing and yet sometimes tiresome when I want serious solutions. She is one of few legislators with the courage to address the Binay matter. Her jokes are often quite funny. But I can not yet grasp that she is either a visionary or a manager. A visionary leader and capable executive is different from a cheap shot artist, quipster or comedienne. A cheap shot artist would be someone who addresses an issue outside any over-arching context. The Binay spokesmen do that. They take potshots at every one but never address the single, overriding issue: explaining why a building worth P900 million in today’s real estate market cost taxpayers P2.3 billion. Cheap shot artists whack at symptoms and don’t deal with the illness. 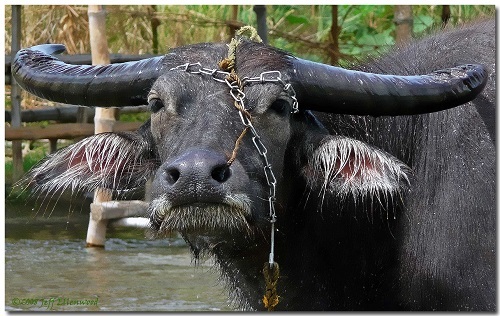 They find a pimple on a carabao, shoot the carabao, and let the farm fail. The Supreme Court in its DAP ruling got so twisted inside out by dealing with legalistic details that it accused the most honest and productive government since Aguinaldo of having bad faith for getting good results. It was a comical ruling. Kafka laughed in his grave and Aguinaldo smirked in his. DOTC can’t carry out a bid for getting swamped in details. So it postpones, re-configures criteria in the middle of bidding, rebids, and it takes years to get a project done. It is an agency of snarls. Snarled bids, snarling participants. DOTC decided to relocate a common train station in Manila (where routes cross) to save a billion pesos. The decision will make thousands of riders – for eternity – hike several hundred meters to make their connection, as if the purpose of trains is to save money instead of get consumers across town in the easiest way possible. The context got lost and now the agency will spend a billion pesos fighting lawsuits and trying to make up for lost time. And we have another beaut of an absurd argument originating from the loudly opened mouth of Senator Santiago. And it is her view today, with China camped on Philippine rocks just off Luzon, not too far from where the Americans landed in WWII, escorted safely ashore by Filipino rebels under the leadership of the Magsaysay brothers, to boot the Japanese off these prized islands. I say prized, because for over 100 years now, other nations have been drooling to grab Philippine riches. The US grabbed them first to keep other nations at bay. America eventually turned the nation back over to Filipinos. My frustration with the good senator is that she has proposed no alternative to the current Philippine defense program. That program includes several important initiatives: (1) the International Law of the Seas case against China as a peaceful solution to the territorial dispute, (2) the building of defensive alliances, and (3) the step-wise strengthening of Philippine military capabilities. The VFA is the document that makes the American alliance work and it facilitates building Philippine defense capabilities. I’ve not read what the Senator’s defense program is, and it is plainly ridiculous to address VFA without that overarching context. The senator shoots the carabao and ignores the farm. Are we to conclude that she is fine with Chinese camped on Philippine rocks? Senator Santiago has style, we can give her that. She is the leading lady of the sexist quip or ribald humor. She loves to emote on the Philippine stage. She is also the leading lady of rant, a common symptom of hypertension, a medical condition that ought to disqualify her from being president. If she misses a pill, the Philippines is at war. She campaigns, in every speech, in every media briefing, in every headline generated by her press people. She uses the VFA to grab the attention of the sensationalist Philippine press. American abuses, real or imaginary, make Filipino blood boil, and she stirs that blood intentionally. Alas, she runs for president by undermining one of the nation’s main alliance partnerships. Senator Santiago is humiliated by the VFA because America gets to caretake American troops accused of crime in the Philippines, whereas Filipinos in the US accused of crimes are housed in US custody. Not Philippine custody. Note the action-oriented verbs aimed at portraying the Senator in the light she adores, that of an outspoken, tough, action-oriented leader. Stirring hot Filipino blood. That is what she is doing. The Senator is an equal-opportunity slammer. You will never catch the Senator citing good things America does for the Philippines. It is humiliating for her. But enough of this grousing. Let’s look at the VFA. There are two VFA documents, one dealing with US forces in the Philippines and one dealing with Philippine forces in the United States. They are similar in purpose and content, but not identical. The VFA that addresses US forces in the Philippines gives the United States the right to send troops into the Philippines without visa requirements, and it delineates some rules of cooperation. It does not bind the US to defend the Philippines. That is done in the Mutual Defense Treaty. The VFA smooths out the means for implementing the Mutual Defense Treaty. And the proposed Enhanced Defense Cooperation Agreement (EDCA) provides further understandings. The full text of the Visiting Forces Agreement for American forces in the Philippines is quite boring, frankly. It is a procedural document. It makes good pragmatic sense, and anyone wishing to strike it down would be in favor of slow delivery of American emergency aid after natural disasters in the Philippines and slow American response to attacks upon Philippine soil. Section 3 recognizes there are times when there are concurrent jurisdictions. The Philippines wishes to punish a wrong-doer and the US wants to manage discipline within its forces. So the US gets to retain custody of the accused during trial and appeals. This seems reasonable to me. I think the shortcoming is that the partner VFA for Filipino forces visiting the United States does NOT giver the Philippines the right to detain its own troops. Missing is the section recognizing there are times when there are concurrent jurisdictions. The Aquino defense program is rational and strong. And it is peaceful. Senator Santiago needs to propose an alternative before she prances and dances before the sensationalist media undermining Philippine well-being by chopping at one of its basic support beams. For me, the VFA matter is no big deal. Let the US amend the Philippine VFA to allow the Philippines to hold accused Filipino troops during the trial period. This does not require an act of Congress and it will not drive Americans into the street humiliated that they no longer have any sovereignty. Then let’s get on with building mutually beneficial alliances and the training that helps the Philippines to build a professional defense force. In the world of the insane, the temporarily lucid is queen. I reckon you knew why they called her Brenda? Well, hypertension is a disease not lunacy, and I think the Filipino tendency to ridicule people who seek professional help for emotional problems is unfortunate and causes many to shy away from help they could get. But she is a little, ummmmmm, erratic, a few bulbs short of the kind of chandelier that would give me confidence if she were president. I’m a US citizen but I was born and raised in Eastern Europe. I don’t have the stomach for this anti US rhetoric. I’m not condition to take it. I just don’t have the emotional makeup to tolerate it. I sometimes get upset with Filipinos here in New York when they criticize the USA and the whites. Many of them are illegal over-stayers and I feel I want to report them and have them kick out of the country. A friend informed me offline that Senator Santiago was schooled in America. Usually those who have studied in the States are more respectful of America, for they understand the general honorableness of the place. So that surprised me, that she had studied there. Maybe an American boyfriend dumped her. Or else her position of indignity is wholly calculated for political and manipulative effect. It’s possible. My wife is an Ilongga just like Senator Santiago. She believes that her character does not represent the character of the Ilonggos. She considers her as an embarrassment. 1.2. Image: cracked hard-boiled egg with the white escaping. 2. My criticism of Miriam is the same as that of the Supreme Court: too narrowly legalistic without any broader vision. 2.1. This failure to see the forest for the trees was shown in her verdict on the Corona impeachment trial. As noted, it is also shown in the matter of the VFA. 3. But… but she does have a redeeming quality. 3.1. She is one of the sharper knives in the dull cutlery of the Senate. Intellect-wise she stands far, far above the bottom dwellers of Tito, Bong, Jinggoy, Gregorio, JV, Lito, Cynthia — and that lowest of the low, Nancy. 3.1. If Miriam is a few bulbs short of a chandelier, the bottom dwellers are BLT sandwiches — without the bacon, lettuce and tomato. And the bread brand is no-frills. 4. Having got all of that off my chest, do I have any positive comment to make? 4.1. Well, today is the first anniversary of Yolanda, and we have had no typhoons of that destructive magnitude this year. 4.3. Patti’s renditions of “Tennessee Waltz” and “Allegheny Moon” still send shivers down my spine. 🙂 At that time, since my voice hadn’t changed yet, I could belt out “I Went To Your Wedding” at the drop of a hat. But as far as “… sending shivers down my spine…” Jo Stafford & “No Other Love” has the honors! Still does. Bless the inventor of Youtube. Ahaha! I can listen why she does that to you. I must admit she does it to me too. I was just listening to that! For me, this song invokes more nostalgia than “No Other Love” which is more romantic. You two are way out of my generation, arf arf. good thoughts to remember. I like them. 🙂 Wordsworth ” splendor in the grass…” sounds somber beside these two nuggets. thank you. Any piece of music that makes us transcend time and space, and makes us forget our worries and the impurities of the heart, and brings us to a better place — however momentarily — is a blessing. Yes, this quality of music must have been what made Plato conceive of the world of the ideal (Platonic), totally disembodied from any specific real person. And recently this same quality made me personify a Sammy Davis song SHE BELIEVES IN ME after reading JoeAm’s sidepiece about the road to Biliran. Sometime back I latched on to Nora Aunor’s NEVER, NEVER, NEVER. What a voice! Excellent dissection of the lady senator’s attributes. Her most positive feature to me is that mentioned by gerverg, her willingness to deal with tough issues and not be cowed by anybody. My biggest problem with Miriam Santiago is that for all the harsh criticisms and quips she can shoot from her mouth against those who dare come her way, she RARELY has concrete solutions to the problems she is blabbing about. Actions speak louder than words was what I was made to understand. You confirm my evaluation. I don’t see vision or any indication of well-developed ability to work with others, say, as the head of a cabinet. She fires off her legalisms and her jokes and her attacks. That is not leadership in my book, but it probably has popular appeal. Actually, I think she might be good on the campaign trail if Binay gets there, to dilute his popular base. Joe, solipsistic comes to mind. Too bad her firebrand is not put to productive use. IMO. With all due respect to the lady solon “Brenda”, its really very hard to fathom her, very unpredictable! it borders in between the sane and insane….. Although I appreciate some of her rhetoric’s, the lack of her actions to resolve or find solution is absent as what @Jose Guevarra said, its becomes her mantra just blab.or say something bombastic. A redeeming quality of hers, though, is her consistency on issues that are unpopular to so many. She indeed has skills and a courage that others lack. Consistently blabbing. Blab, blab, blab, blab, blab…. That’s the way I feel about her too…a blabbermouth, less action! Innovation comes from the fringes, not from the mainstay. 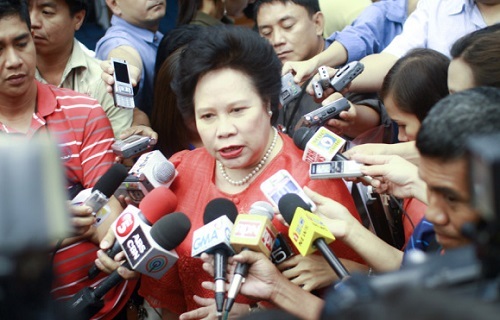 Miriam Santiago definitely is in the fringes of political life. And as all fringes she is a little torn up, a little stained. But she will never be part of an echo chamber. She often makes me think, just as Mariano does in this blog, and I thank her for that. Very true. Thanks. I actually learn a lot from her, too.